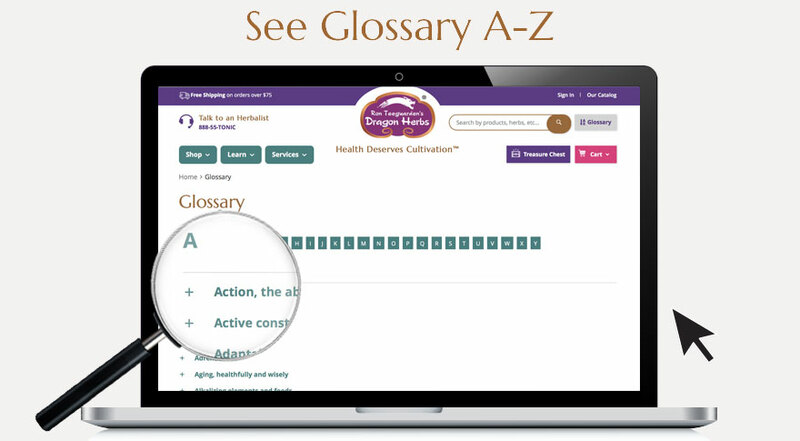 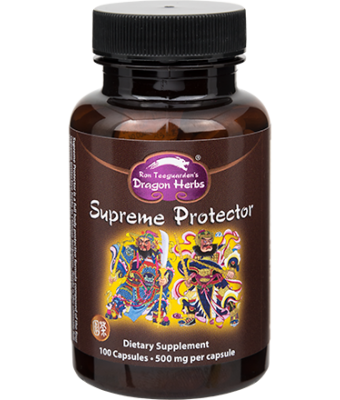 Step up to Superior Herbalism! 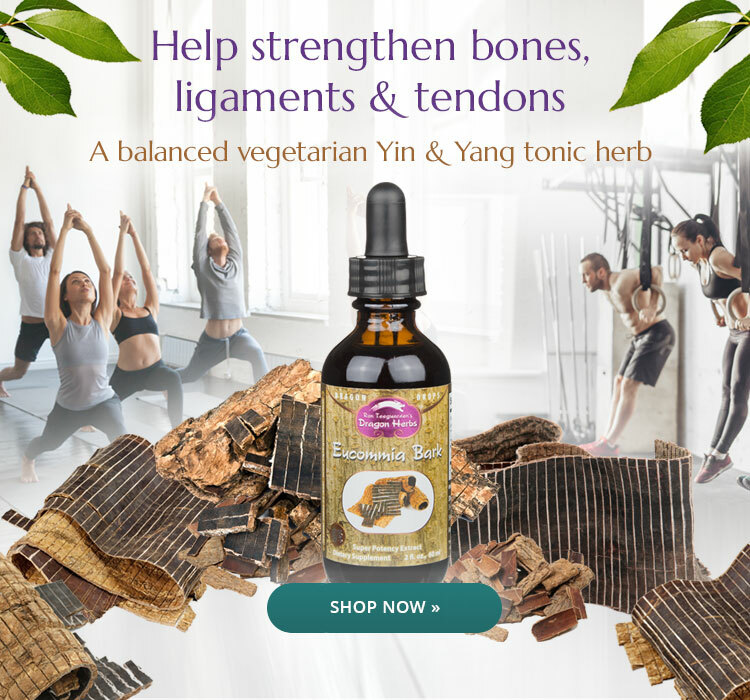 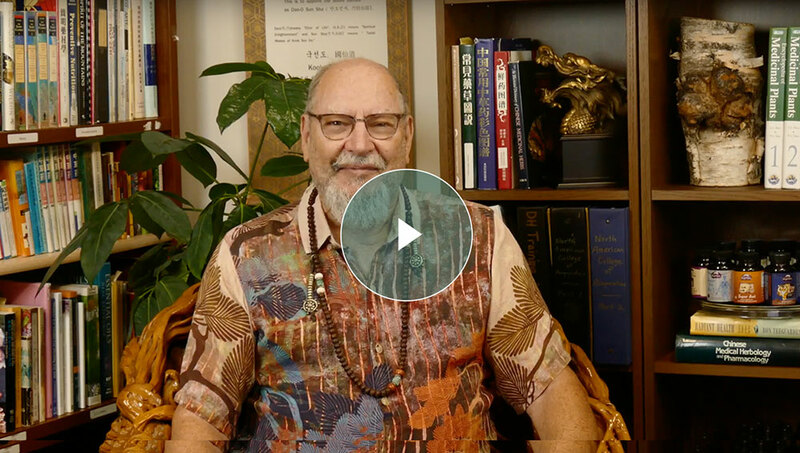 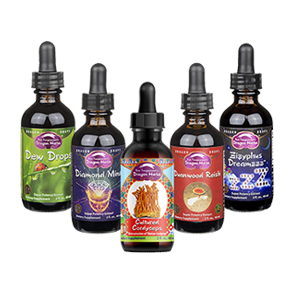 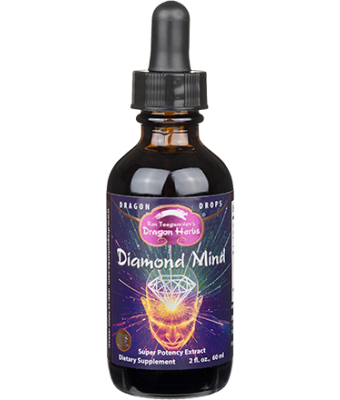 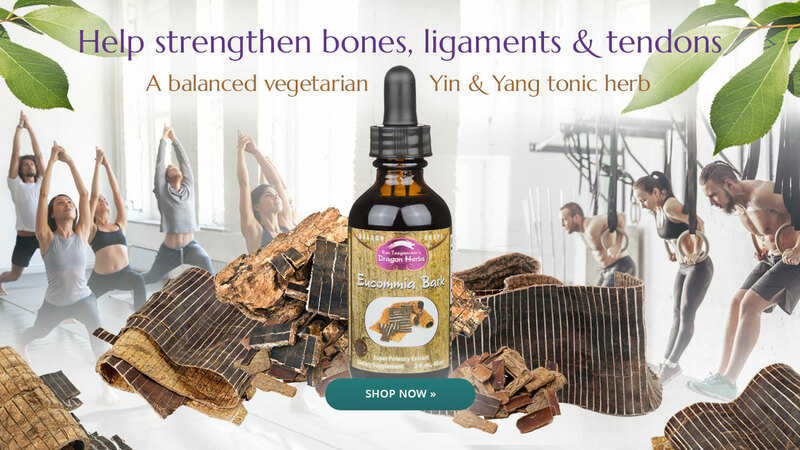 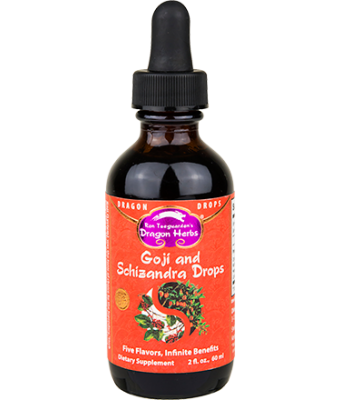 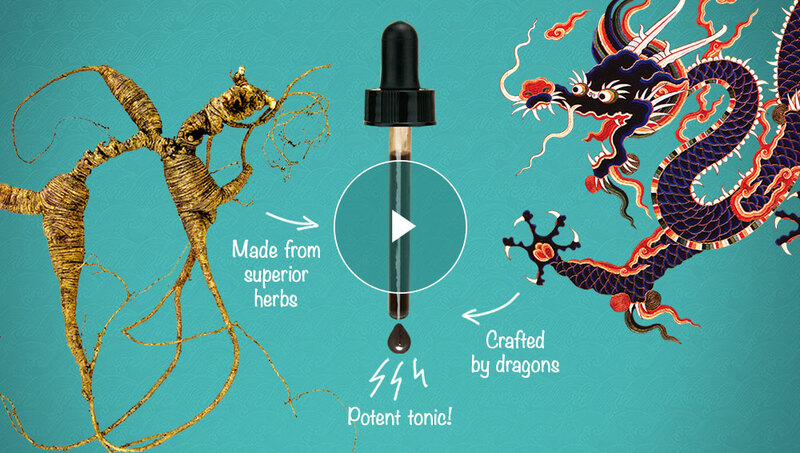 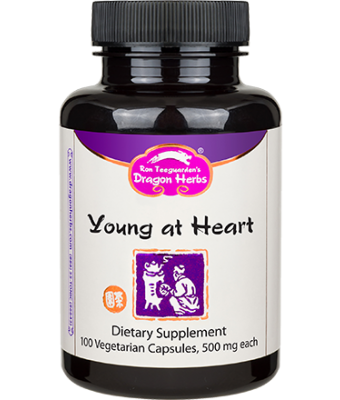 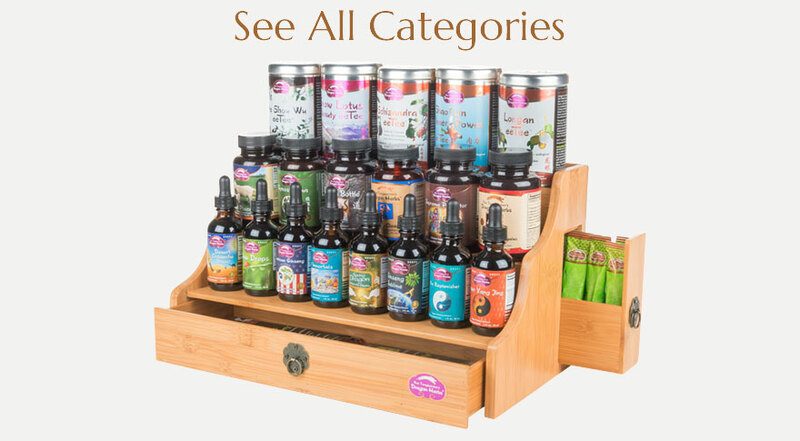 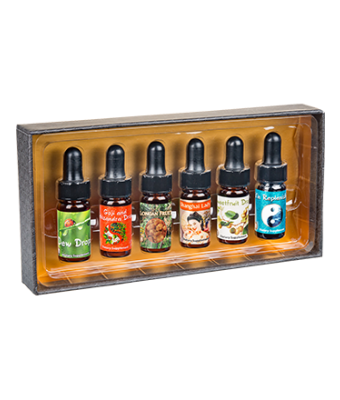 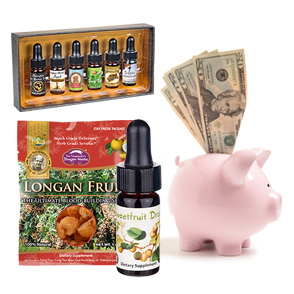 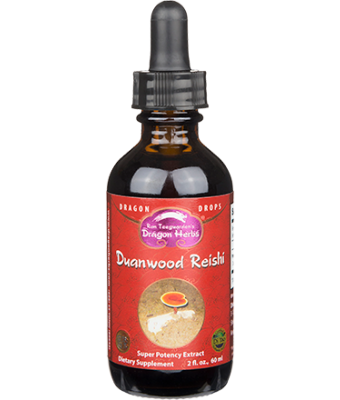 One taste of these extraordinary extracts and you’ll know why Dragon Drops are regarded by thousands of knowledgeable connoisseurs as the most potent line of tonic herb tinctures in the world. 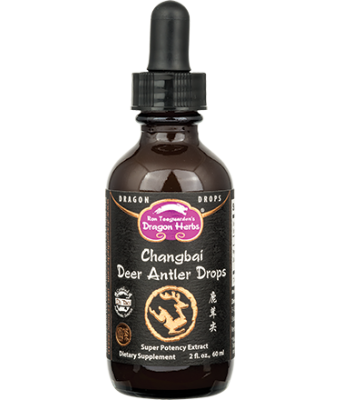 What are Dragon Drops? 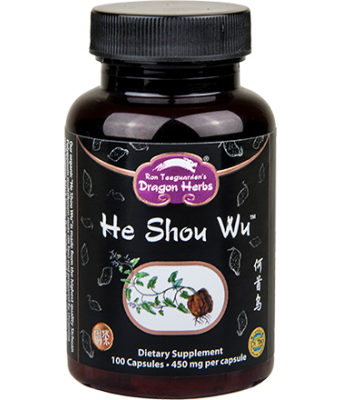 How to take Dragon Drops? 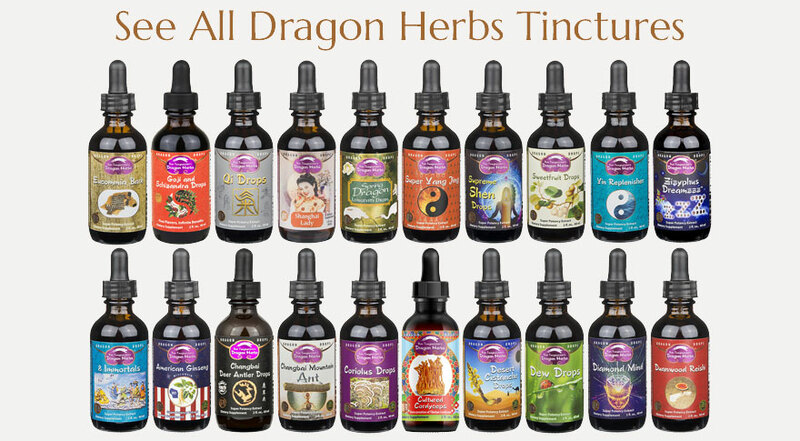 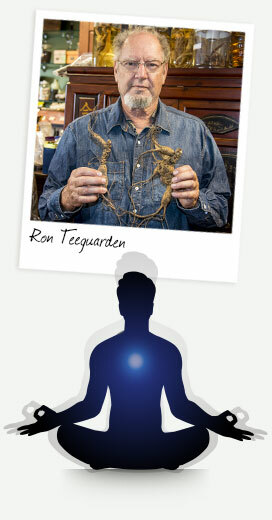 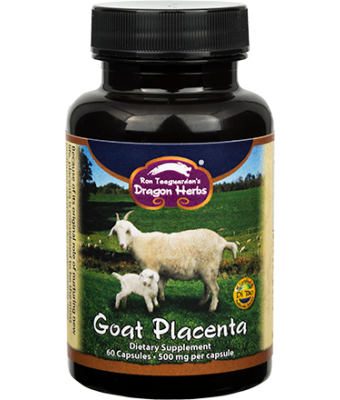 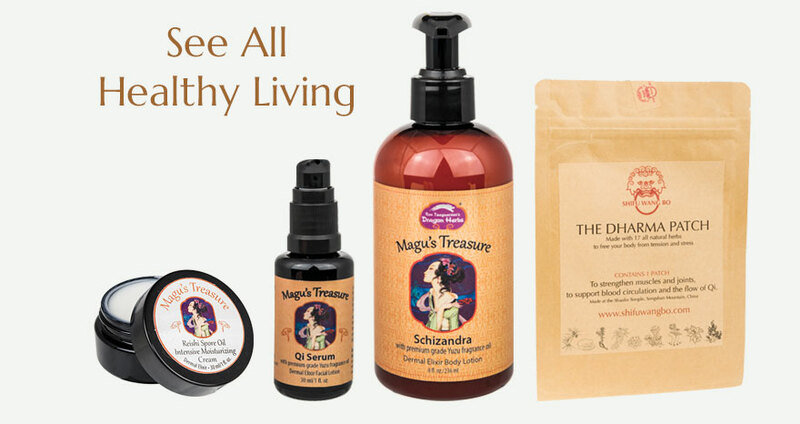 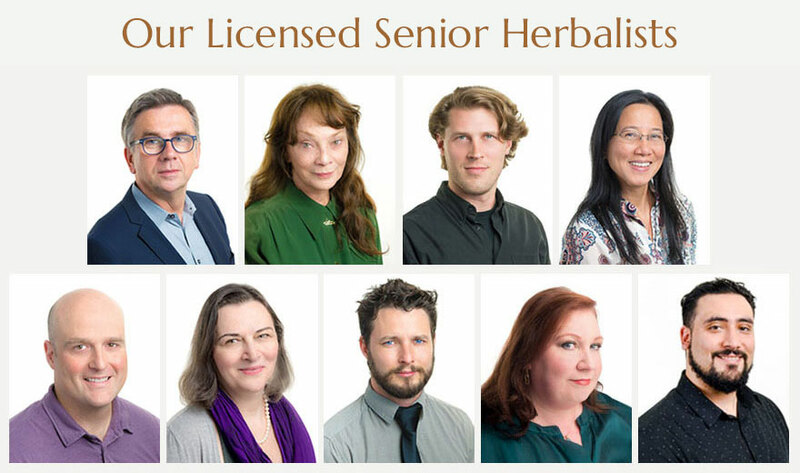 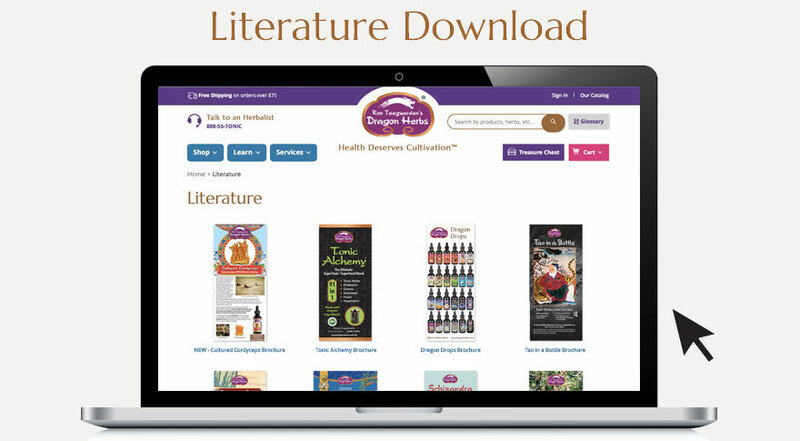 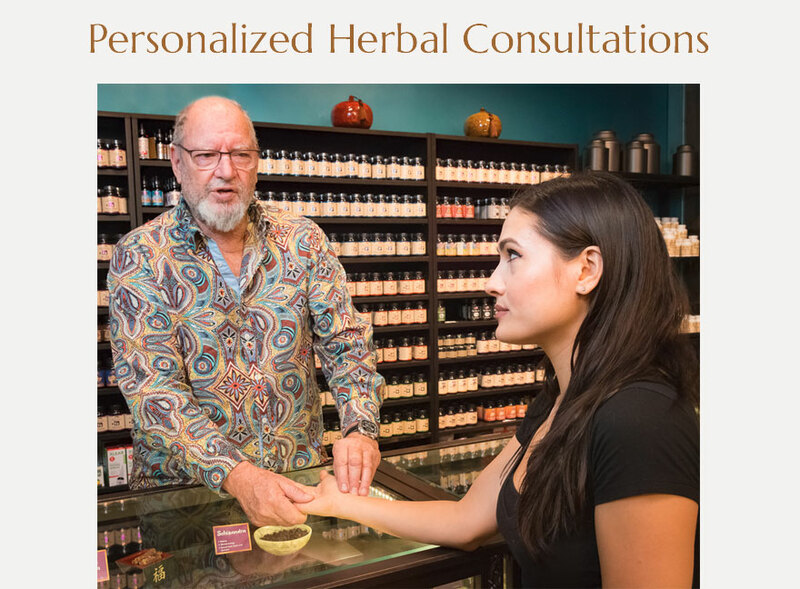 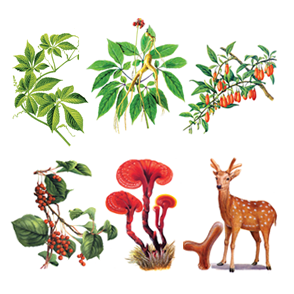 Every Dragon Herbs product is a work of art and science – tempered with love and respect. 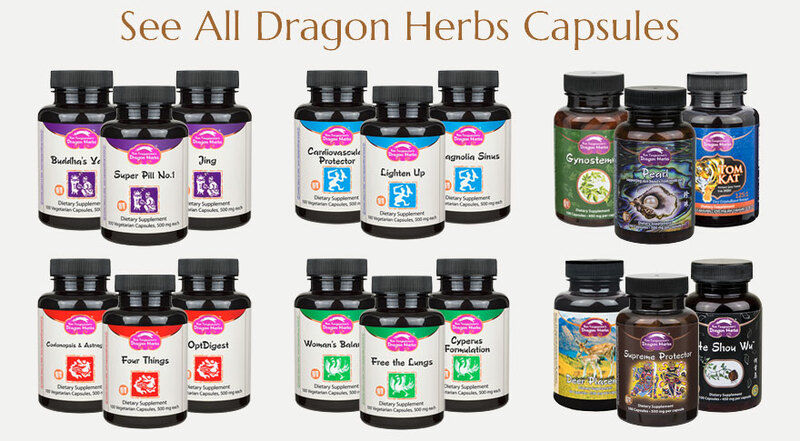 We spare no effort to produce the finest herbal products in the world. 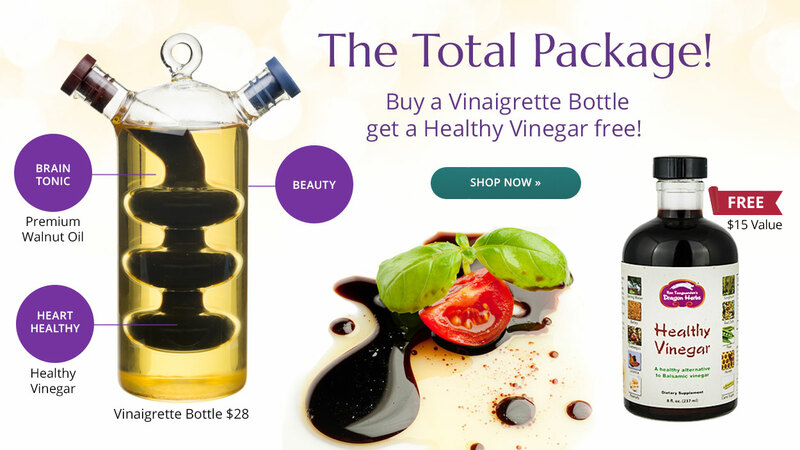 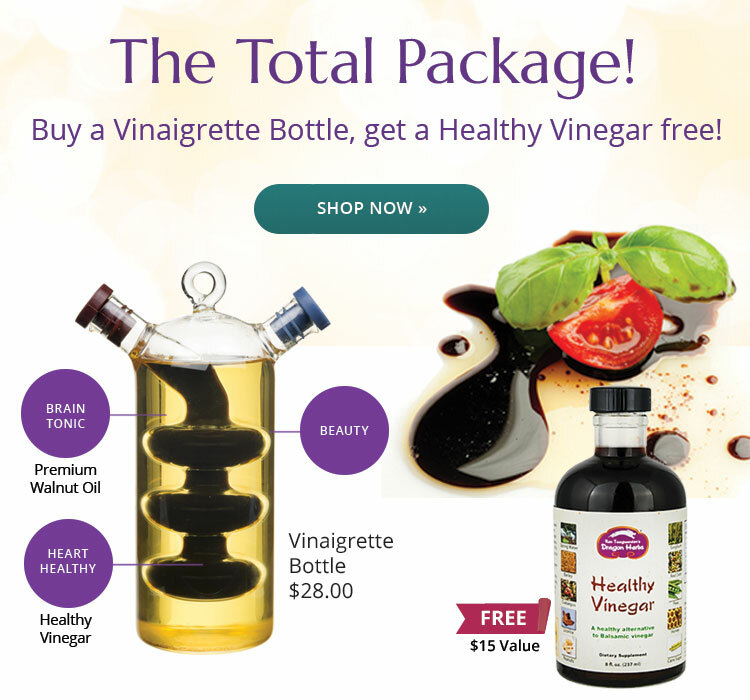 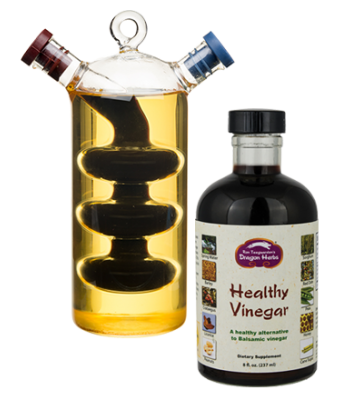 Vinaigrette Bottle + Healthy Vinegar 8 oz. 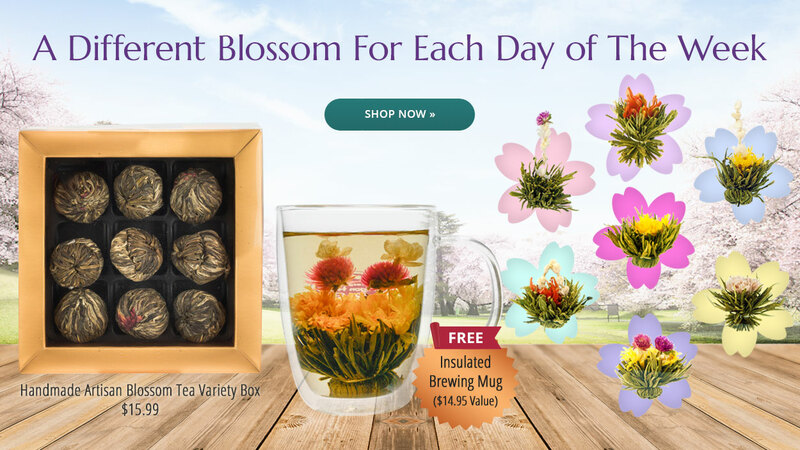 A great cup of tea, either herbal or from the tea plant (Camellia sinensis), is a true and exalted treasure of civilized humanity. 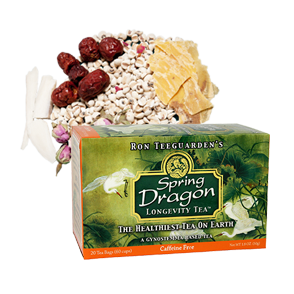 We offer the greatest teas from Asia and around the world. 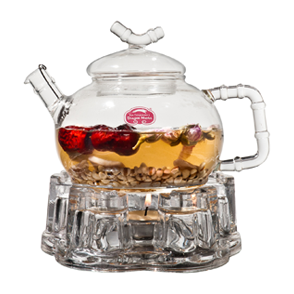 We have sought out the very best sources and best teas for your (and our) enjoyment and benefit. 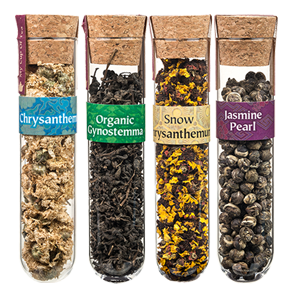 Most of our teas are grown organically or are products from wild ecospheres. 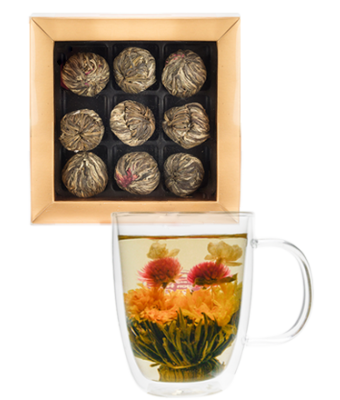 We have teas collected from trees that are hundreds of years old (the ultimate!) 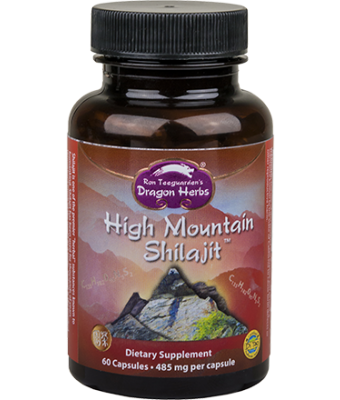 and from the highest peaks of the Himalayas. 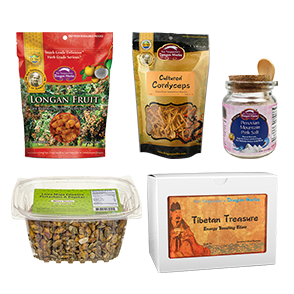 We have teas from deserts and jungles that have nurtured native societies for millennia. 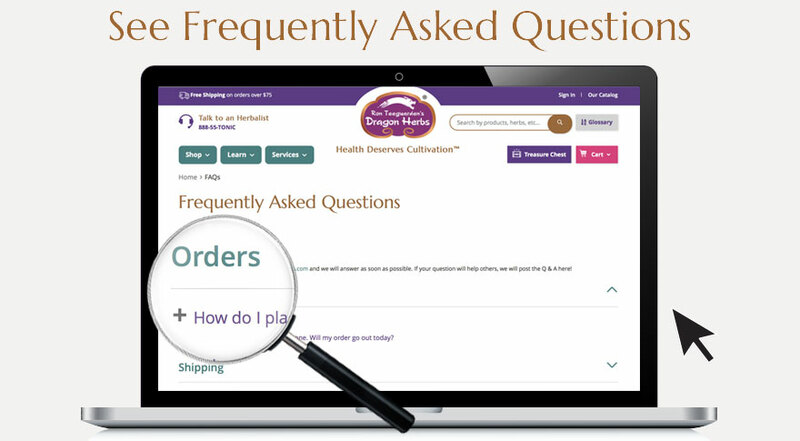 Why should you choose Dragon Herbs’ premium quality, Di Tao Teas daily? 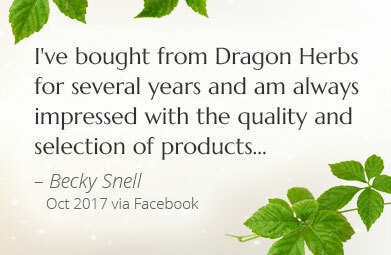 Dragon Herbs' teas are harvested and prepared with the greatest care. 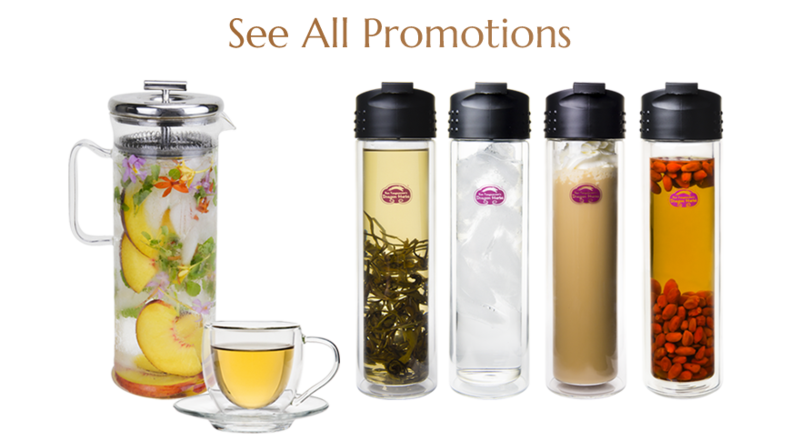 We know tea, and we encourage you to take advantage of our experience and global sourcing. 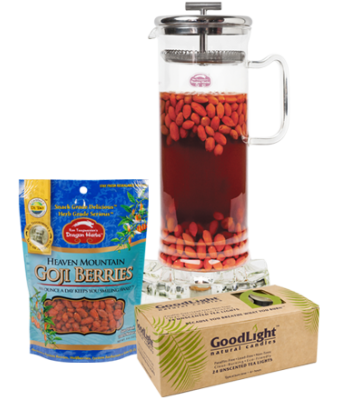 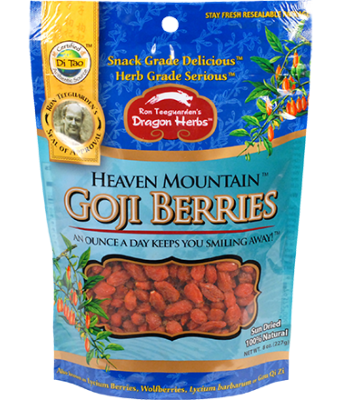 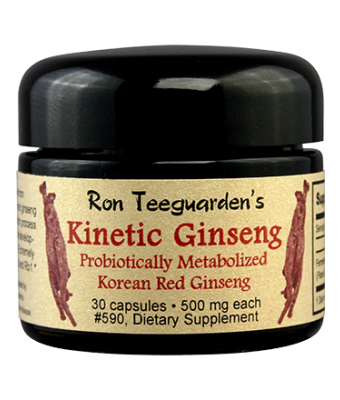 High in flavonoids which help support healthy metabolism. 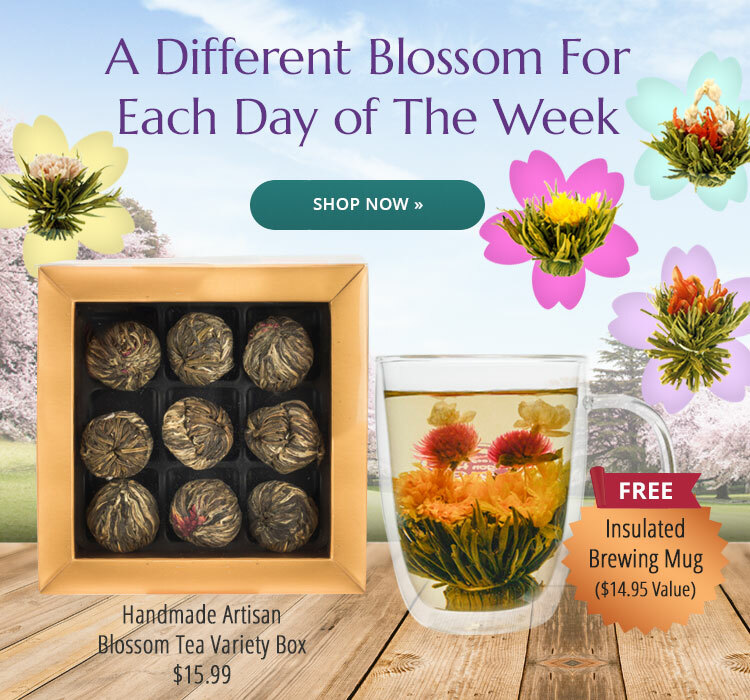 A blissful blend of flavonoid-rich tea leaves, flowers, and tonic herbs. 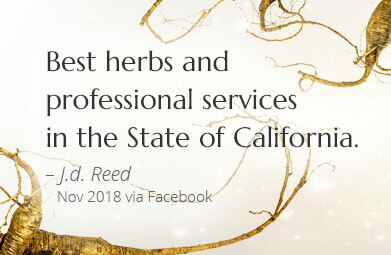 Full of flavor. 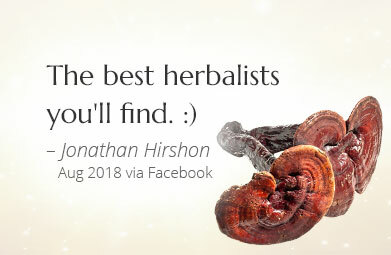 Full of life. 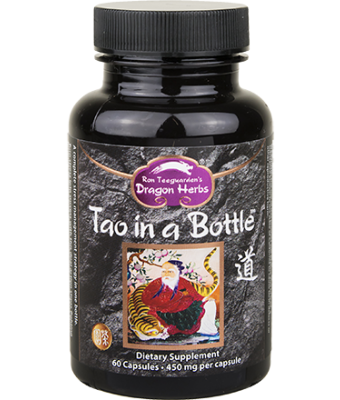 Or fermented teas, may support gut health. 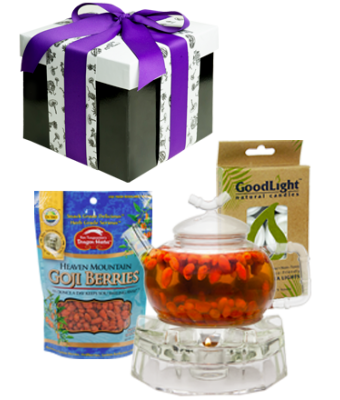 Fermenting tea leaves over many years in wooden drums creates darkened tea, with mellow taste, reduced astringency, and gut-microbe-friendly. 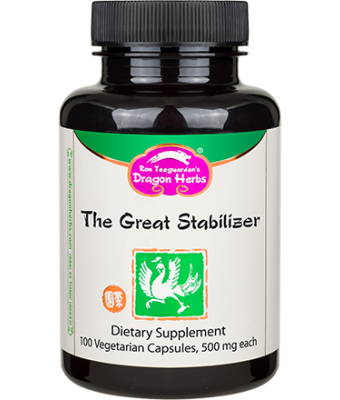 Supports mental clarity and a calm, collected focus. 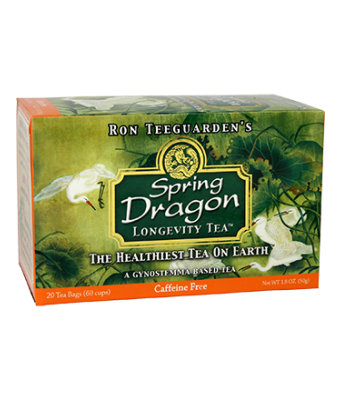 High quality tea is a reliable supply of L-theanine, a counter-balance to caffeine. 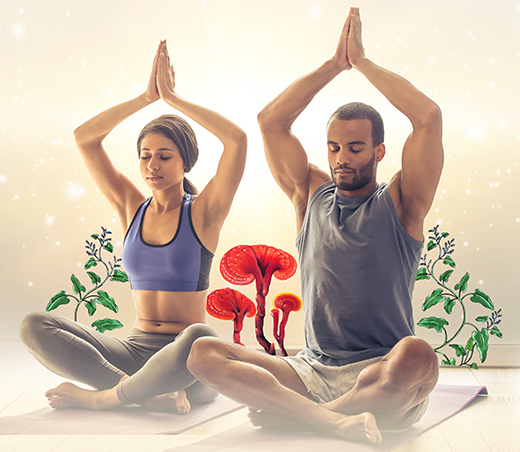 L-theanine promotes an alert, relaxed, calm, clear and focused mood. 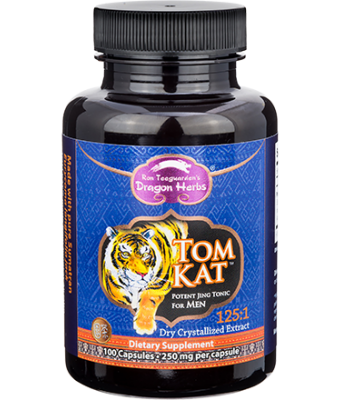 Support work and athletic performance and energy without caffeine! 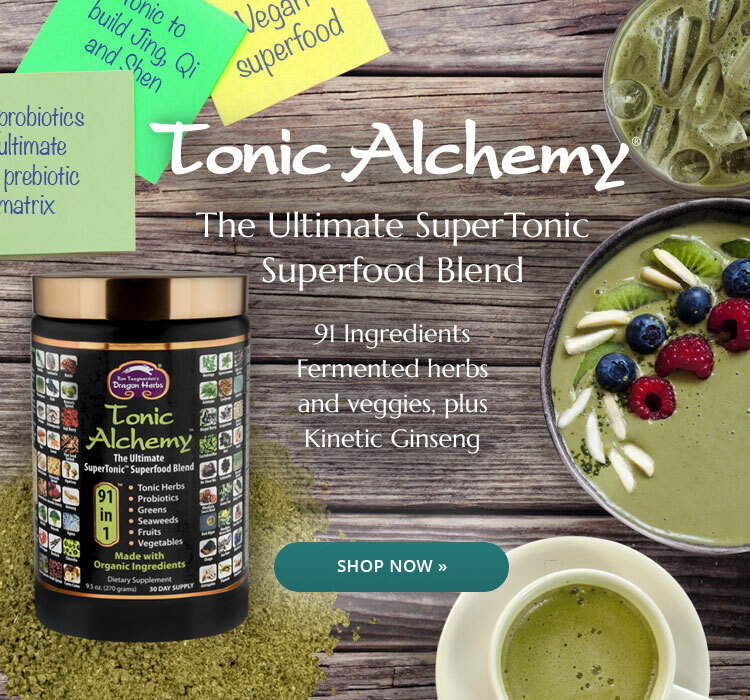 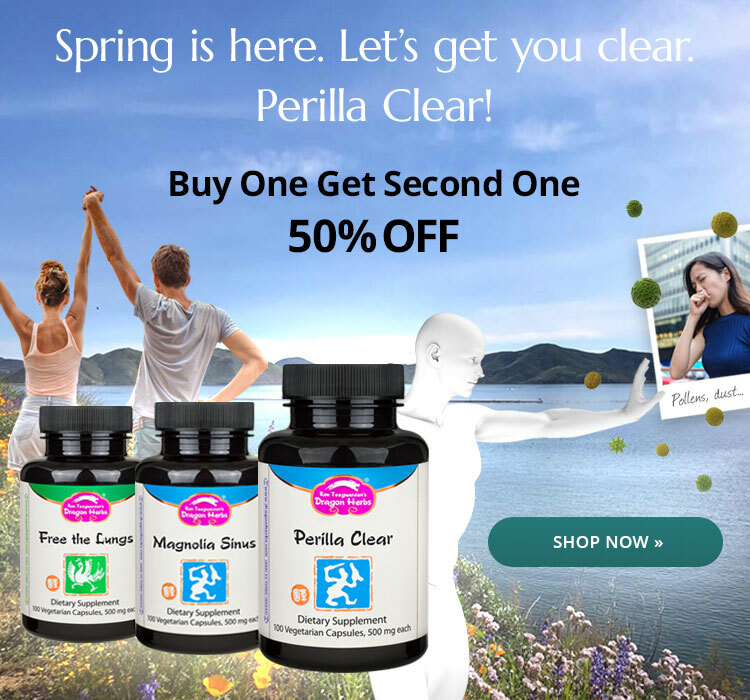 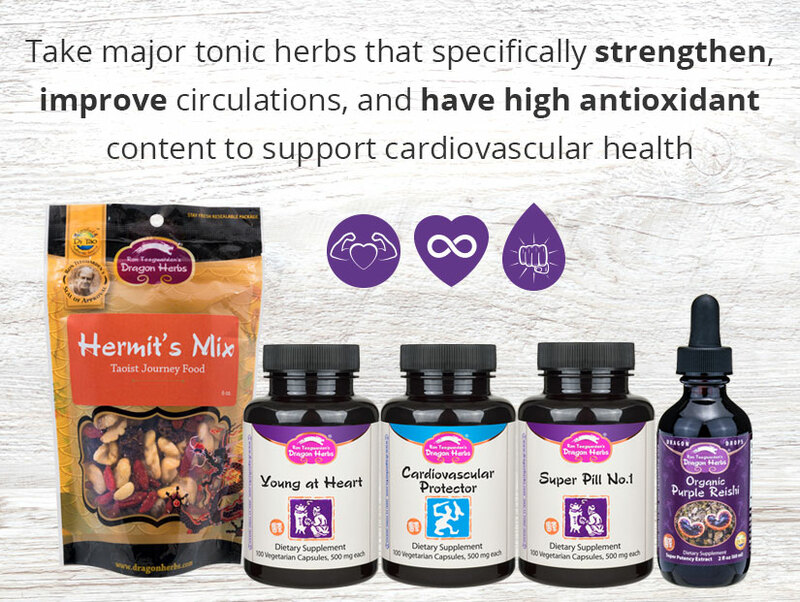 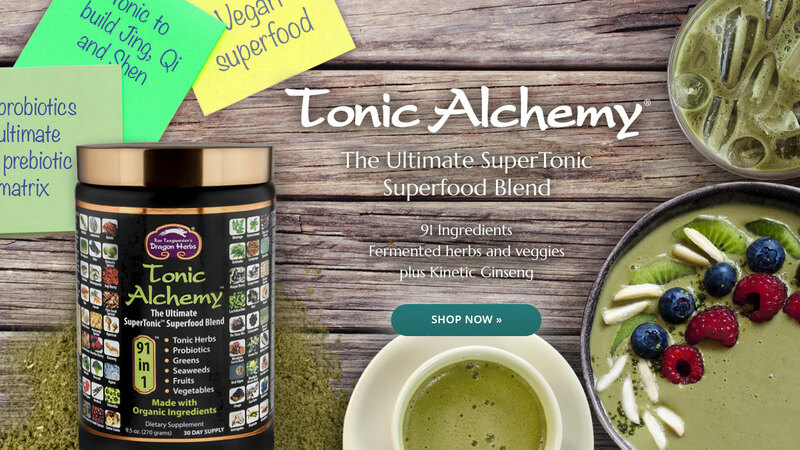 Extractions of supertonic herbs like Gynostemma, Astragalus, Tibetan Rhodiola and many more targets the core for optimal health and performance. 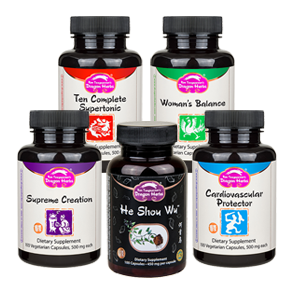 On how we source and produce our encapsulated powders. 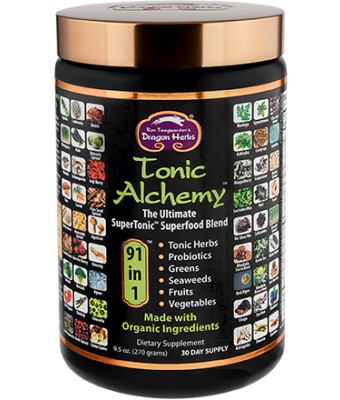 Ron proofing that Tonic Alchemy is a great source of Electrolytes for your body. 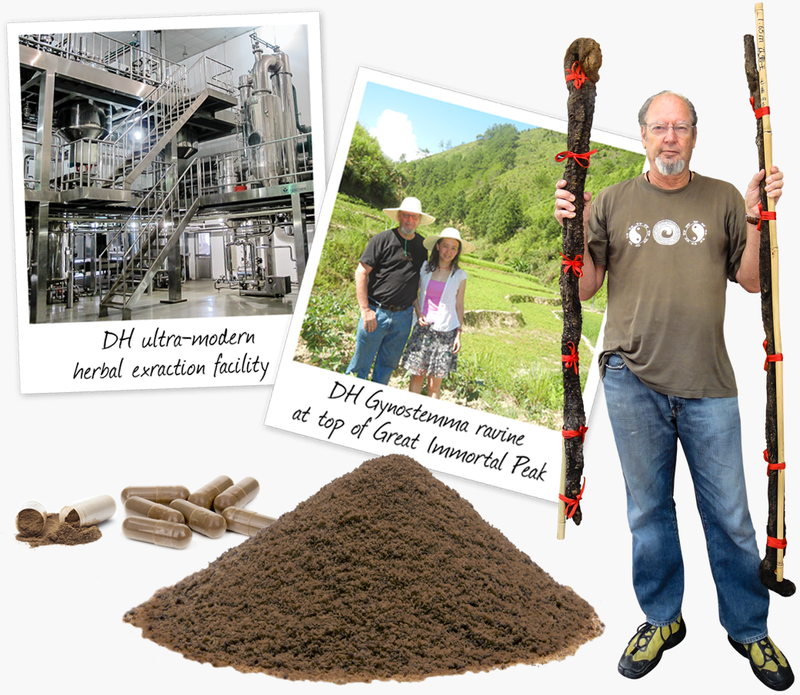 Our senior Herbalist, Gabe Donovan, showing on how to make a cooling tea with DH eeTees.